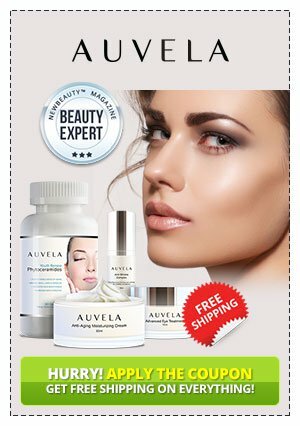 Auvela Cream > Auvela use – How to use Auvela Kit? After so many questions among the comments we get, regarding the usage, application, benefits of Auvela and side effects, we decided to make a guide in how to use, how to apply the entire kit of creams, pills and the serum. As skin ages, it loses the energy to retain essential nutrients, resulting in dry, sagging skin. 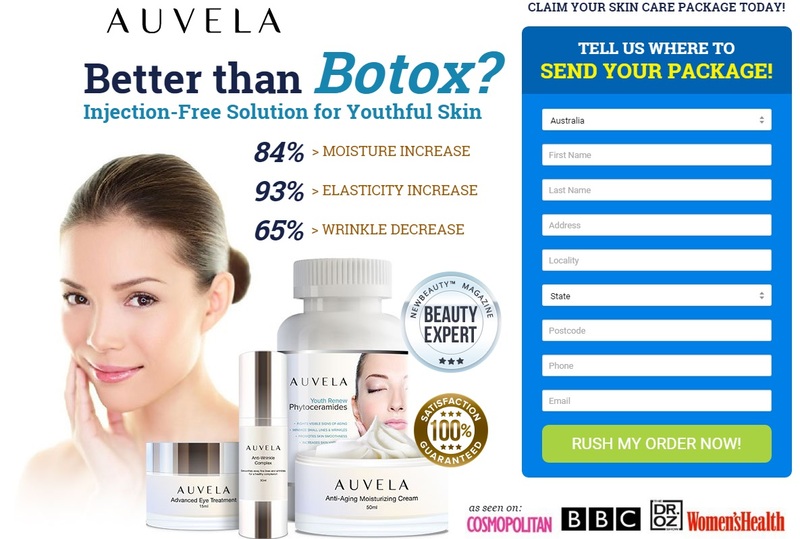 Auvela’s Anti-Aging Moisturizer Cream takes years off your skin with it’s unique formula to diminish lines and wrinkles, firm and lift skin, while improving radiance and texture. * Apply evenly over entire cleansed face and neck morning and night, or as needed. Appear visibly younger with smoother firm skin. Anti-Wrinkle Complex provides protection and maximizes wrinkle reduction. * After cleansing, apply evenly over face and neck at morning and night, or as needed. * Smooth gently into skin. * Allow to absorb fully before applying make-up. Auvela’s Advanced Eye Treatment is a daily, all-in-one eye treatment that instantly enhances brightness around the eyes. This non-greasy formula was developed to eliminate dark circles and reduce puffiness for rejuventated, younger and healthier looking skin. * After cleansing, apply with fingertips under the eyes and surrounding area. * Use a gentile, upward motion, at morning and night, or as needed. * Works well alone or under make-up. When topical applications can’t penetrate deep enough to address wrinkles, age spots, and roughness; Phytoceramides serves as a “glue” to hold your face firm and tight! This little pill improves the structural integrity of the skin, all while adding needed vitamins and antioxidants to keep it healthy. Suggested Use: As a dietary supplement, take one  capsule daily. Skin care rituals should be simple. While you sleep and rest your body, give your skin the extra boost of revival and fight off the harmful effects of sun damage/pollutants the skin experiences during the day. * Remove any eye makeup, and gently wash face with warm water. * Each night, apply 2 pumps of serum to upper and lower eyelids, as well as neck. * Massage gently into skin. * Allow serum to fully absorb before going to bed.